Flow Measurement Handbook is an information-packed reference for engineers on flow measuring techniques and instruments. Striking a balance between laboratory ideal and the realities of field experience, this handy tool provides a wealth of practical advice on the design, operation, and performance of a broad range of flowmeters. 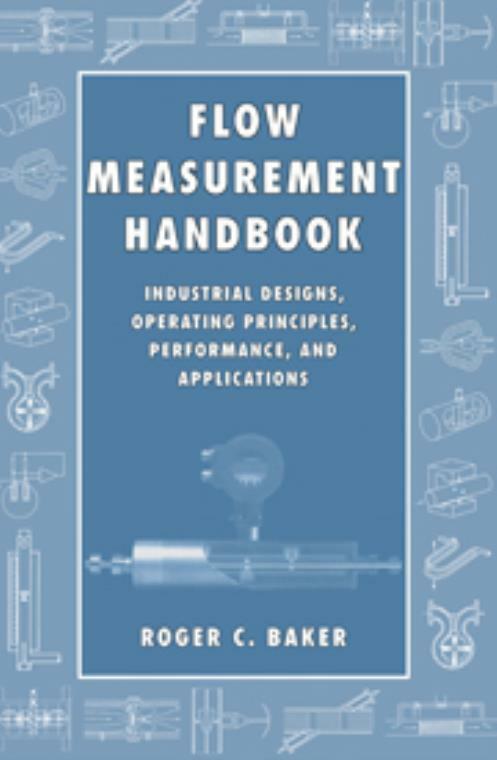 The book begins with a brief review of fluid mechanics principles, how to select a flowmeter, and a variety of calibration methods. Each of the following chapters is devoted to a class of flowmeters and includes detailed information on design, applications, installation, calibration, operation, and advantages and disadvantages. Among the flowmeters discussed are orifice plate meters, venturi meters and standard nozzles, critical flow venturi nozzles, positive displacement flowmeters, turbine and related flowmeters, vortex shedding and fluidic flowmeters, electromagnetic flowmeters, ultrasonic flowmeters, and coriolis flowmeters. Also covered are mass flow measurements using multiple sensors, thermal flowmeters, angular momentum devices, probes, and modern control systems. Many chapters conclude with an appendix on the theory behind the techniques discussed. 21. Future developments; Nomenclature; Bibliography; References. Roger C. Baker University of Cambridge.